We are pleased to announce the appointment of Alessandro Magrì as Director of Corporate Venture and Innovation Advisory at Fusion. Alessandro joins the Fusion team with a double experience of entrepreneur in high-tech and seasoned strategy consultant, at McKinsey and other consulting firms. He brings 20 years of practice in innovation, digital technologies and artificial intelligence, new business development and organizational change, working at C-level to drive growth and productivity in leading companies across multiple industries (high-tech, life science, insurance, banking, retail). 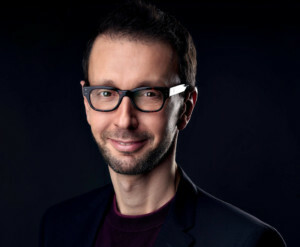 Alessandro’s unique blend of experience within big corporations and fast-growing startups will contribute to sharpen Fusion team ability to build effective bridges between the two worlds, accelerate innovation and deliver long-lasting impact.